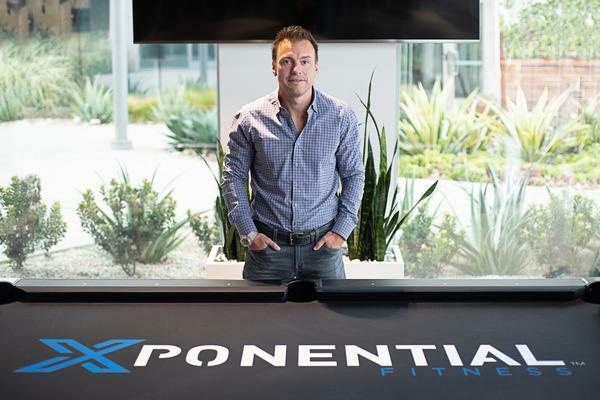 I haven’t been employed by anyone other than myself since the mid-90s,” says Anthony Geisler, founder and CEO of US-based Xponential Fitness. “I graduated from the USC entrepreneur programme in Los Angeles and from there, I really just set out to do what I’m now doing, focusing on the whole area of start-ups and entrepreneurship. “I had other ventures prior to getting into the fitness space, but in 2001 I joined a boxing gym – LA Boxing. From being a member, I went on to buy the company and grew the brand to almost 200 locations in the US. “I took a bit of time off after selling that business – my wife was pregnant with our first child – but then a friend showed me the Club Pilates business, a small chain of pilates gyms primarily operating in San Diego, California. 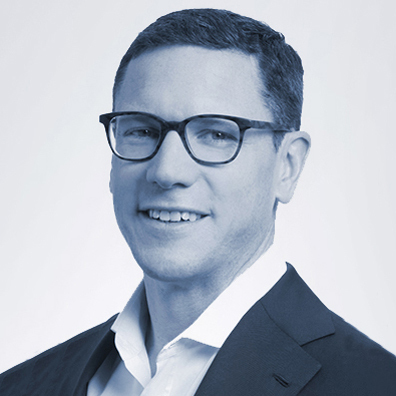 The team then set out to acquire more scalable brands, as Geisler explains: “We purchased indoor cycling brand CycleBar in September 2017, and a further six brands between then and the end of 2018: Row House; StretchLab; AKT – the dance-based cardio studios operating out of Manhattan; Yoga Six, which was operating primarily out of San Diego; and Pure Barre, with its 520 open locations in the US and Canada, which we acquired in late 2018. Finally, we acquired an eighth brand, called Stride, on 31 December 2018. It’s a boutique running concept offering premium, treadmill-based cardio and strength training. “But that’s it now,” he says, “My focus moving forward is on the brands that we now own and growing from the 2,400 locations currently sold across the US, as well as building on our existing base of international deals: Saudi Arabia, Abu Dhabi, Qatar, Australia, the UK, Canada, Mexico, Japan, Brazil. We’ll expand all of our eight brands internationally, but we’re not looking at any more acquisitions. “Xponential wasn’t ever intended to cover all modalities,” he explains. “Our eight businesses were chosen for specific reasons: firstly, that I enjoy them. They inspire me. That’s important to me. And secondly, I want to be the best and biggest franchised brand in each area – I don’t want to go into a market and be number two – so we need partners who are genuinely innovative, as well as a good fit for what we’re doing. “A lot of people speculated that I would go back into boxing, for example, but I didn’t. When I started with LA Boxing, it was just me, but now you have iLoveKickboxing, UFC, Title Boxing Club, Nine Rounds, CKO, EverybodyFights, Mayweather Boxing… the list just goes on and on and on. “And then if you look at HIIT, Orangetheory has done an amazing job in the US. It’s knocked the ball out of the park and has begun expanding into international markets too. It’s signed 1,000 leases in the best shopping centres in the US, and it will have exclusivity in those shopping centres for that modality. 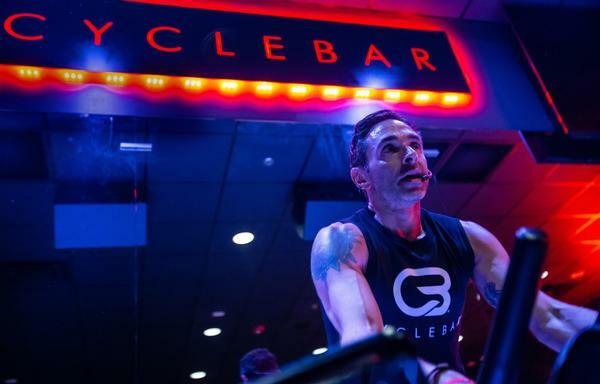 And he says the strategy is paying dividends: “CycleBar has 50 per cent more locations than SoulCycle and Flywheel combined. I will agree that SoulCycle has a bigger brand, but it’s so expensive to build and operate that it can only go into the major cities. If you look at SoulCycle’s expansion curve, in my opinion, it’s over. They can’t put more locations in Manhattan, Chicago, Seattle, Los Angeles, Dallas. They’re done – and that’s why the business today is worth less money than it was three years ago. There’s no more growth, so nobody can go in and buy SoulCycle and make money out of it. He continues: “We have a lot of in-depth information on our members, which we use to build a core customer profile for each of our brands. Our software then identifies where these people exist in clusters across the US, but with two important search criteria: each franchisee must have a two-mile protected radius – a two-mile radius within which there are enough people to support the new location; and the store has to be able to do US$600k a year. Our system then puts dots on the map to show where stores could go. “For Club Pilates, we’re getting towards the end of the sales cycle: we have a maximum of 932 locations based on the above criteria, which means we only have about another 100 we can sell. It’s basically sold out. “When you get to this point with a brand, you have two things. You have a tonne of lead flow – people coming in saying they want to buy a Club Pilates, but you can’t sell them one – and a tonne of great operators already in your network, with nothing to give them if they want to take on more locations. Once acquired, Geisler has a simple model for maximising the potential already identified in each business: “People like to make it more complicated than it is, but really there are three simple components to all these businesses: the programming; the marketing and advertising; and the sales – closing ratios, sales platforms, sales training. Once those three components are optimised, all we do is continue to deliver a great product and continue to charge for that product. That’s really the business we’re in across all modalities. “If you look at Pure Barre, for instance, when we bought it, its average store was doing about half what a Club Pilates was doing, in spite of the fact that it had twice as many available spaces in each class: in a Club Pilates, you have 12 reformers; in a Pure Barre, you have 24 or more spaces available. So really, Pure Barre should be doing twice as much as a Club Pilates – not half. “So, what was the problem? First things first, the product is phenomenal – that’s generally the case with all of our acquisitions, because we’re typically buying them from founders who are passionate about their respective disciplines. “But not enough people knew about it, and the people who did know about it, when they came in to the studio… we had a very poor sales model. We never really asked for the sale. People would come in and try a Pure Barre class, then just walk out and go home – we didn’t talk to them again. “Even now, we don’t go for the hard close like car sales, but if somebody comes in and takes a free class and they enjoy themselves, we should, at the very least, follow up with them and invite them to become a member. Pure Barre didn’t do that, so we’ve now applied our sales model and sales training to that business. “Equally, its marketing department was nowhere near what it needed to be for a brand of that size. They hadn’t had a CMO in two years. So, we built a very robust marketing department: we had three CMOs on our shortlist and we hired all three of them, just giving them different titles. “So, we really stacked the deck in both marketing and in sales; we left programming the way it was for the most part, because it was already phenomenal. We tested the approach in some local Pure Barres and sales increased by 300 per cent in the first month. We also put everyone on recurring memberships instead of discounted class packages; this is what we do across all our modalities. In just one location, we signed US$140k of annual, recurring memberships in the first 30 days. He adds: “We use the St Gregory Development Group in the US, the largest franchise sales firm in the world, and they typically sell about 300 franchises in year one, 300 in year two, about 100 in year three and 100 or so in year four. As you get past 600 locations, you’re generally looking for individuals who want to buy a specific one-off location, whereas the majority of our franchisees buy three at a time. It’s very hard to sell one – it’s like selling that one last small blue T-shirt on the rack – so sales inevitably slow down. 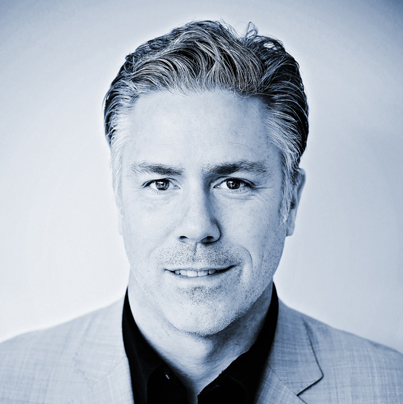 “All of our brands are in that first four-year growth pattern; Club Pilates is in year four. After that, year five to 15 and beyond, it’s really about maintaining and operating what you have. “International expansion tends to start in year two, although increasingly it’s happening sooner because people are typically buying the rights to the whole Xponential suite of brands for their country. So how does Geisler picture the world in which he operates five years from now? He continues: “Looking at the bigger picture, I think boutiques will crush the big boxes. We’re seeing some of the big boxes try to bring in boutique modalities, but none of them have been able to do it well. Even Equinox… you haven’t seen it bring SoulCycle, Rumble, Pure Yoga and Blink Fitness inside its clubs, which everyone figured was going to happen. “In fact, if you look at the boutique brands Equinox has acquired, I wouldn’t consider any of them success stories. They grow very slowly. Blink Fitness, for example, has been around for a long time and I think it has 150 locations. We would have had 1,000 in the same period. “Equinox has no doubt done a great job with Soul Cycle as a corporate brand, but if you’re not in the franchise space, you’re not going to be expanding to 600, 700, 800 locations in a three-year period. You’re going to do 50–100. To get scale, you need to franchise, and the big boxes haven’t proven they can do anything in this space. Boutiques are meant to feel special. How do you maintain that as you grow to 900 clubs per brand? 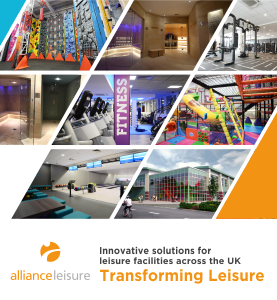 “What makes our studios special is our franchisees – they’re invested, personally and financially – in the success of their studios and they essentially become surrogate founders. “They’re passionate cheerleaders for our brands at the studio level, something that’s difficult to maintain in a corporate-only enterprise, where employees aren’t as directly connected to the success of the business. Our franchisees bring passion and energy to the business and help maintain the strong sense of community . In a competitive boutique sector, how do your studios compare? The in-class experience at a Club Pilates, AKT, CycleBar or other Xponential Fitness studio rivals any boutique fitness brand; our customers are passionate fans. We continually train, support and motivate our instructors, managers and franchisees and evolve our class offerings to give customers memorable moments. "There’s a somewhat elitist impression that boutique fitness is only suited to New York or London or Los Angeles. But while trends often start in those urban centres, we know from experience that our studios are equally successful in suburban markets"
From a pricing standpoint, we’re competitive with other offers, but we have several pricing tiers to reflect different markets. Pricing in Manhattan will be higher than in Nashville. Our strategy gives us consistency, but also enables us to remain competitive . How does your multi-brand portfolio work for landlords? 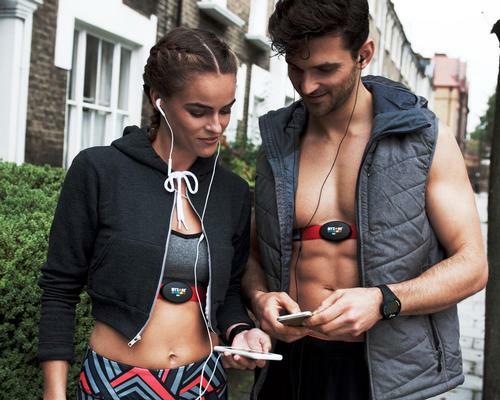 It’s a challenging time for retail in the US, UK and elsewhere, and a tenant with multiple brands like Xponential Fitness provides a big advantage for landlords. For one, our clients are recurring visitors and they support other businesses in the same shopping centres. Along with that, our brands appeal to slightly different demographics and have different space requirements. This allows us to place multiple studio concepts within the same properties or adjacent to each other. Is there enough demand for boutiques in suburban towns? Absolutely. People everywhere participate in fitness – or know they should – and the desire for quality and community isn’t limited to consumers in major urban markets. There’s a somewhat elitist impression that boutiques are only suited to New York or London or LA. Trends often start in those cities, but we know our studios are equally successful in the suburbs. Xponential was created out of a combination of three key factors. Firstly, an understanding that consumers like to ‘snack’ on multiple boutique fitness experiences. 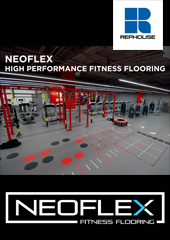 Secondly, a business insight that the playbook to successfully running a boutique fitness franchise could be replicated across multiple fitness modalities. And thirdly, to establish a driven leader with the experience and capability to build a multi-brand platform; Anthony had proven multiple times that he could scale different boutique fitness brands. Xponential now has brands across eight core fitness verticals – yoga, pilates, cycling, barre, running, rowing, dance and stretch – and is the largest boutique fitness operator in the world. 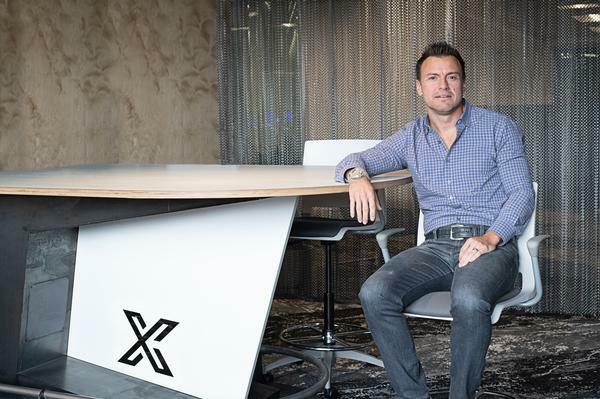 I see Xponential expanding that leadership position both domestically and internationally, while continuing to provide best-in-class experiences to the consumer. "Many well-known boutique brands started in large metropolitan areas, but have had trouble scaling out of those geographies. 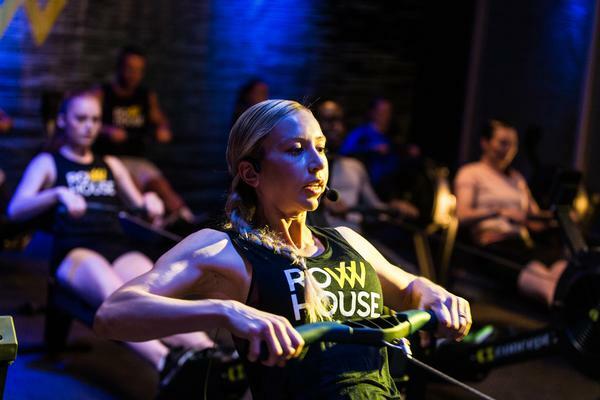 By franchising, we’ve been able to provide an unparalleled level of access to quality boutique fitness across the country"
How do you think Xponential is disrupting boutique fitness? Many of the well-known boutique fitness brands started in large metropolitan areas, but have had trouble scaling out of those geographies. By expanding through franchising, Xponential has been able to provide an unparalleled level of access to high quality boutique fitness across the country. There’s talk of launching an X-Pass membership, giving consumers access to classes across Xponential’s eight brands. The X-Pass hasn’t been launched yet and at this point, we’re not sharing details on those plans. However, we know that consumers like variety in their routine and that our brands complement one another in terms of the types of workouts they offer. So the idea for the X-Pass is a logical extension in terms of meeting the consumer where they are. Can you see Xponential Fitness one day taking on a ninth or even a 10th brand? We have a full plate with our eight brands, and we believe we have the core offerings that today’s consumers are looking for. That said, we have the engine built to react dynamically to consumer tastes and preferences.